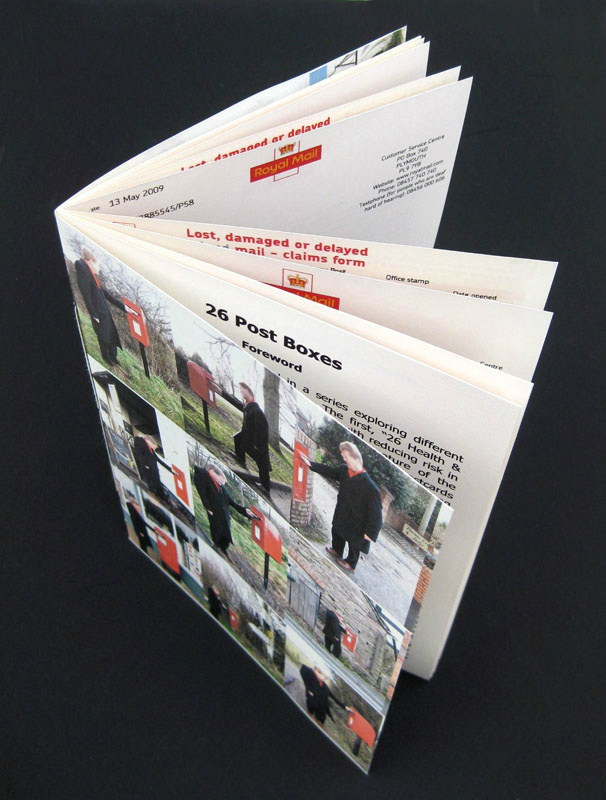 An artists' book about the universal postal system in a rural area. I made and posted 26 postcards successively in the 26 post boxes I passed along a 41 mile journey between my home in Eardisley, Herefordshire and Westhope College, Shropshire. The date and time of posting was recorded, along with the date and time of delivery. Each postcard has a photograph of me posting that card. The cards were addressed to 26 different volunteers.